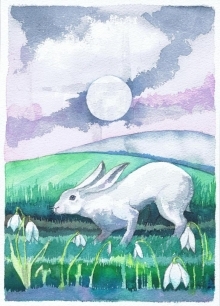 From the Winter Solstice in December days have started to get longer and daylight begins to conquer darkness as we can start to look forward to the return of Spring and the abundance of Summer. 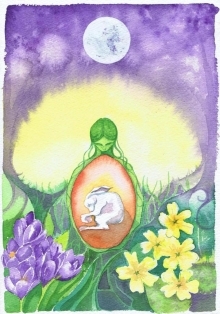 Ostara was a Germanic Goddess of rebirth and fertility also known as Oestre from where Easter arguably gets its name. 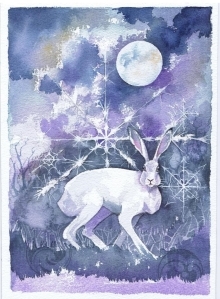 The Hare was sacred to the goddess in many traditions. The egg is a symbol of potential and promise. 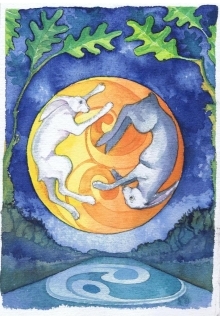 Mayday celebrations of the abundant bursting potential of all of nature’s animals as well as plants. The celebrations are strong and active with the symbol of The Green Man representing the strength and potential of nature. The Maypole dances were a traditional part of the celebrations. The festival is associated with fire. 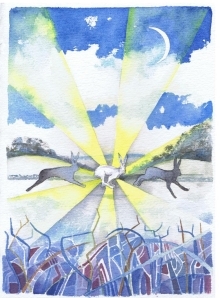 At the Autumn Equinox Day and Night are again equal in length. From here nights are now longer than days as the year truly wanes towards the Winter and the Solstice. 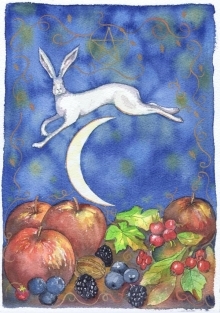 But there is cause for celebration to be had for the second harvest of fruit and berries that are now ready in abundance fulfilling the hopes and preparations of Imbolc, Ostara and the Springtime. At the Winter Solstice longest night of the year. 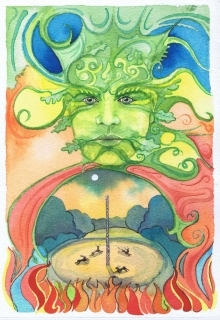 The Festival of Rebirth and the return of the sun. Recognised in all cultures throughout history, from now the days slowly become longer with the promise of Springtime and the return of life to nature. No wonder it was adopted in the Christian religion as a time to celebrate Christ’s birth.